We take your questions on a slacking MOH, reaching out to a neighbor’s landlord, following up after RSVP dates and inviting your ex to your wedding. 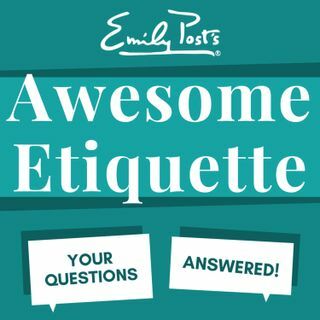 Plus your feedback, etiquette salute and a postscript segment on six common introduction mistakes. For sustaining members your question of the week considers stopping for pedestrians not in a crosswalk.